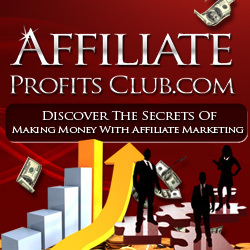 to make big stacks of cash on the Internet; you just have to have a site that attracts users. A lot of people who have built a website specifically to make money worry about putting ads on their sites. They’re concerned that people might be put off buying if their browsing is interrupted by intrusive ads. That’s absolutely right. If your ads are intrusive, then you are going to annoy your users. But if you’ve used all the strategies I recommend in my book Google AdSense Secrets to blend your ads into the site, then not only will you keep your users sweet, you’ll also increase the number of your click-throughs. Not everyone who reaches your site will buy. In fact, most won’t. You’ve paid for those users; shouldn’t you profit from them? Put AdSense ads on the right pages and in the right way and you’ll make even more money from your site. And that’s the point, right? Information sites are probably the most obvious places to put AdSense. If you’ve created a site that’s designed to teach other people about your favorite topic – whether it’s video games, mahjong or raising guppies – then AdSense is ideal for bringing your site money. Again, you’ll still need to be smart about the way you use those ads (just put them on the site any old how and you’ll barely make enough money to pay for the server.) Do it properly and use all the proven AdSense revenue-generating techniques and you’ll be able to turn your hobby into cash. Blogs are intended to simply let people know what their writers think – and do no more than that. But a lot of bloggers have recently discovered that with the help of AdSense, their blogs can quickly become cash cows! Because they’re updated regularly, Google loves blogs and because they have regular visitors so do advertisers. The techniques used to get blog readers to click on ads are a bit special but once you’ve read up and know what you’re doing, you should be able to turn your writing into a very nice income indeed. Joel Comm is Dr. AdSense, an Internet entrepreneur who has been online for more than 20 years. Joel is co-creator of ClassicGames.com, now known as Yahoo! Games and is the author of the web’s best-selling AdSense ebook, “Google AdSense Secrets (Or What Google Never Told You About Making Money With AdSense)”. How *Crap* Can Dramatically Boost Your Profits!